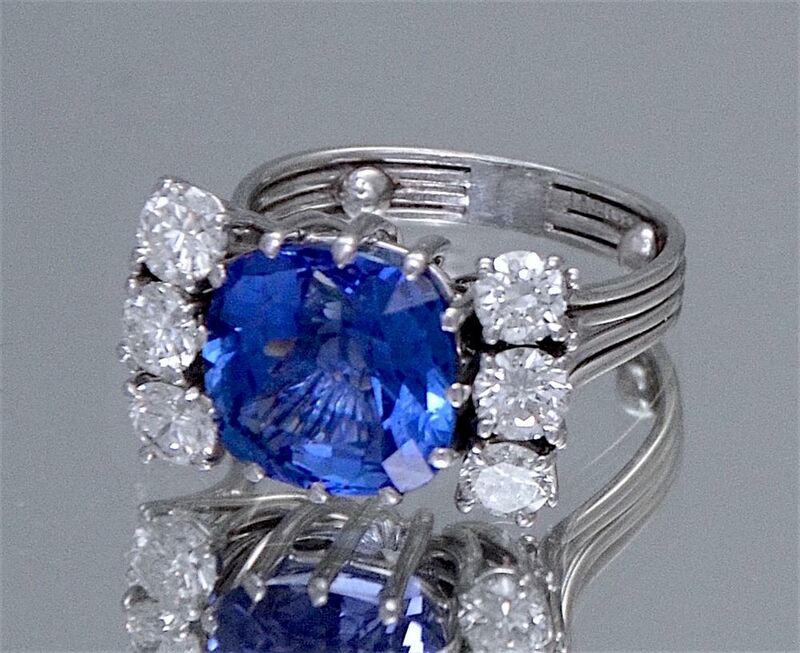 This is a gorgeous sapphire & diamond ring. In the centre of the ring is an intense blue cushion shaped sapphire set in claws with 3 round claw set diamonds on each side. The sapphire and diamonds are set above a platinum wire basket that leads to a platinum 4 wire shank.